Kate serves as the lead for admissions and recruitment for LeBow College of Business MBA and Specialized Master of Science (MS) Programs. 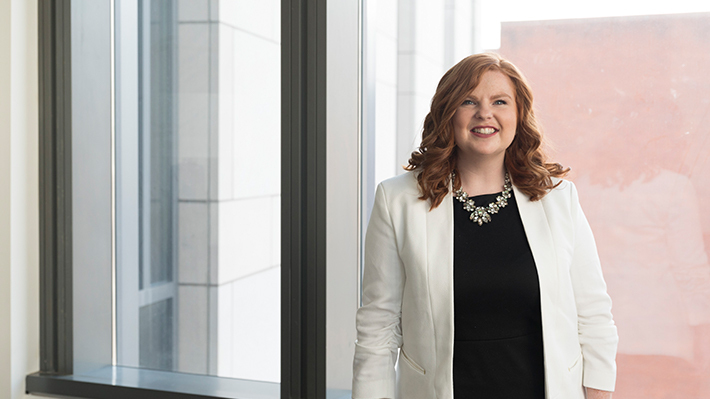 Kate’s career in higher education includes experience with student support and advising in addition to her experience with MBA and MS recruitment and admissions. Her current role includes responsibility for recruitment initiatives, strategic planning and evaluation as related to recruitment, managing the admissions process, and yield opportunities. Throughout her career, Kate has worked with a variety of student populations including recent graduates, experienced professionals, and international students. Prior to her time in higher education, Kate’s experience was in recruiting and staffing. Kate received her BA in Public Communications from American University in Washington, DC in 2010, and her MBA in Business Analytics from Saint Joseph’s University in 2016. Learn more about what we look for in prospective Executive MBA students, tuition and financial aid.